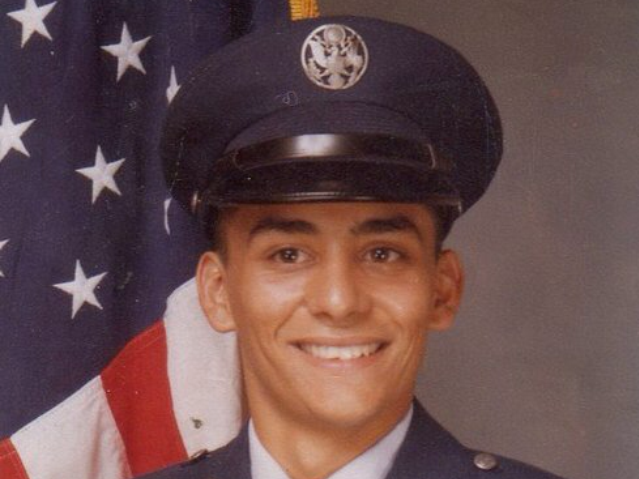 Air Force veteran Billy Ramos, now 53, in a 1982 photo from his basic training days as an Airman in Texas, at Lackland Air Force Base. Now self-employed, Ramos relies on Medicaid for his family's health insurance needs. "If I were to get hurt on the job or something, I'd have to run to the doctors, and if I don't have any coverage they're going to charge me an arm and a leg," he says. "I'd have to work five times as hard just to make the payment on one bill." There are about 22 million veterans in the U.S. But less than half get their health care through the Veterans Affairs system; some don't qualify for various reasons, or may live too far from a VA facility to easily get primary health care there. Many vets instead rely on Medicaid for their health insurance. Thirty one states and the District of Columbia chose to expand Medicaid to cover more people — and many of those who gained coverage are veterans. The GOP health care bill working its way through the Senate would dramatically reduce federal funding for Medicaid, including rolling back the expansion funding entirely between 2021 and 2024. Medicaid coverage recently has become especially important to Ramos — a routine checkup and blood test this year showed he's infected with hepatitis C. California was one of the states that chose to expand Medicaid, and the program covers Ramos' costly treatment to eliminate the virus. "Right now, I'm just grateful that I do have it," he says. "If they take it away, I don't know what I'm going to end up doing." The Senate health plan — which proposes deep cuts to federal spending on Medicaid — has veterans and advocates worried. Will Fischer, a U.S. Marine who served in Iraq, is with VoteVets.org, a political action group that opposes the Republican health plan. "If it were to be passed into law, Medicaid would be gutted. And as a result hundreds of thousands of veterans would lose health insurance," Fischer says. It's too early to know just how many veterans might lose coverage as a result of the Medicaid reductions. First, states would have to make some tough decisions: whether to make up the lost federal funding, or to limit benefits or to restrict who would get coverage. But Dan Caldwell thinks those concerns are overblown. He's a Marine who served in Iraq and is now policy director for the group, Concerned Veterans for America. "The people who are saying that this is going to harm millions of veterans are not being entirely truthful," Caldwell says. "They're leaving out the fact that many of these veterans qualify for VA health care or in some cases already are using VA health care." About a half million veterans today are enrolled in the VA's health care program as well as in some other source of coverage, such as Medicaid or Medicare. Andrea Callow with the non-profit group, Families USA, wrote a recent report that shows one in ten veterans are enrolled in Medicaid. "Oftentimes veterans will use their Medicaid coverage to get primary care," Callow says. "If, for example, they live in an area that doesn't have a VA facility, they can use their Medicaid coverage to see a doctor in their area." Whether a particular veteran qualifies for coverage through the VA depends on a host of variables that she says leaves many with Medicaid as their only option. But Caldwell says rather than fighting to preserve Medicaid access, veterans would be better served by efforts to reform the care the VA provides to those who qualify. "We believe that giving veterans more health care choice and restructuring the VA so that it can act more like a private health care system will ultimately lead to veterans who use the VA receiving better health care," he says. 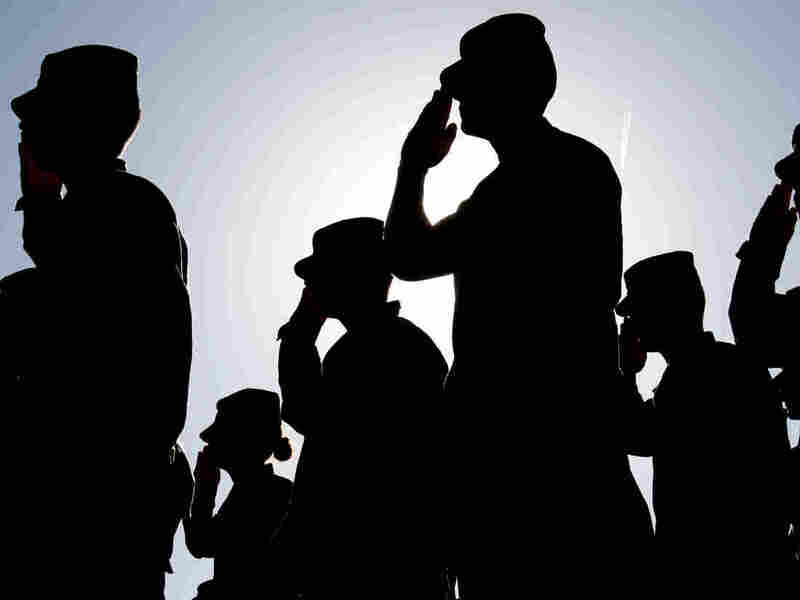 The Urban Institute found that the first two years after the enactment of the Affordable Care Act saw a nearly 44 percent drop in the number of uninsured veterans under age 65 — the total went from 980,000 to 552,000. In large part that was the result of law's expansion of Medicaid.